Among the wines that can appreciate themselves some mark D.O.C.G. 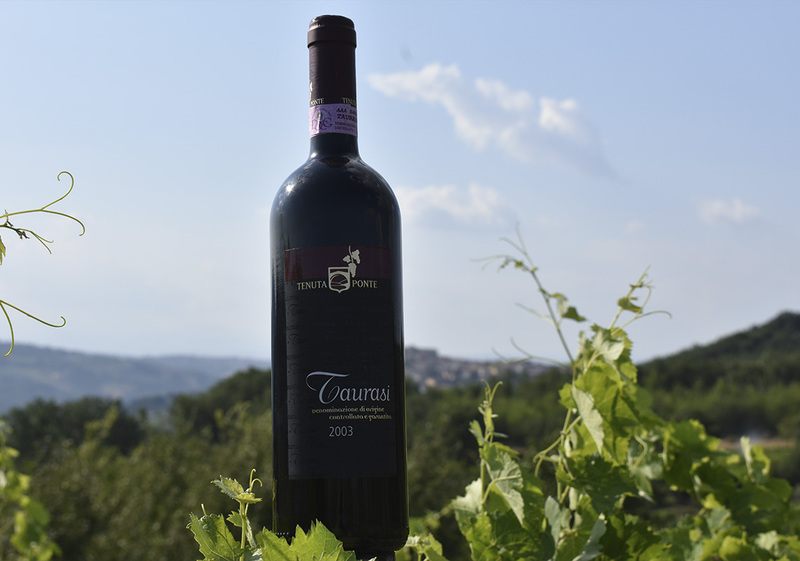 in Italy., the Aglianico of Taurasi is surely one of the most famous and prestigious. It is a strong wine, savory, little tannic, with the rich bouquet and from the color red clear and bright ruby, browning orange with violet reflexes following the aging, that the disciplinary provide for a minimum time of three years before the bottling. 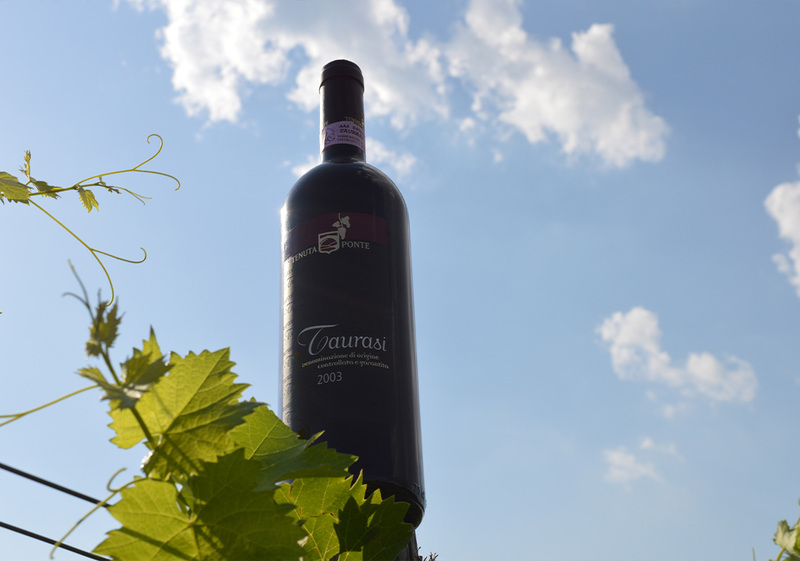 The Taurasi of the Tenuta Ponte is produced with grapes coming from specialized fittingses situated in the best places for exposition and for aspect pedoclimatic. To combine it with the grapes of the vine aglianico, in maximum measure of 10%, are the grapes of the vine Merlot. By this combination is born an harmonic product, balanced and very pleasant product to the palate, that with the time it underlines better the tastes of plum and sour cherry. The secret of the quality consists in the correctness of the procedures beginning from the harvest of the grapes, that happens in the moment in which sugars, acids and poly-phenolic substances that obtain the correct equilibrium. The maceration with peels, a slow temperature constant fermentation, the exclusive use of native yeasts they allow to draw from the grapes the color and the characteristic odors. The aging happens in oak strokes for complete the refinement and only after a standstill in bottle than at least six months wine is ready to be tasted and appreciated by the connoisseurs. 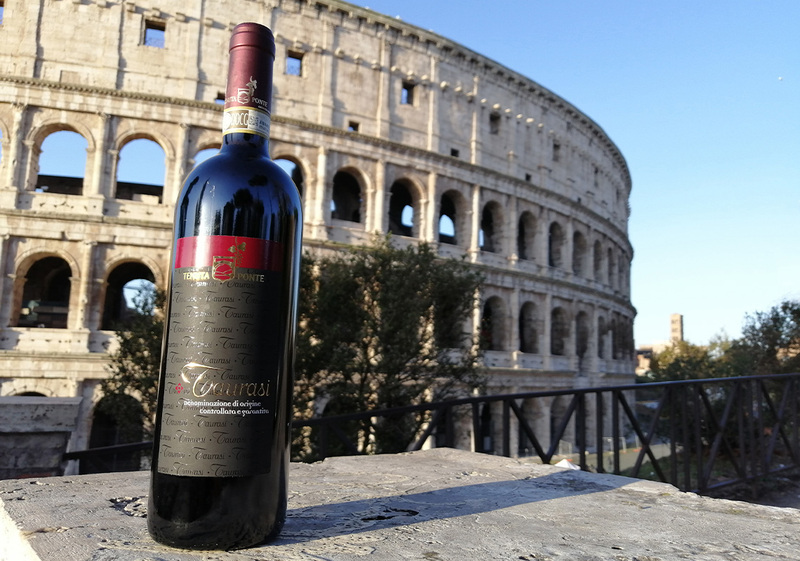 From the inferior alcoholic volume never down 13%, from the taste intense, fresh and pleasant, harmonic and little astringent, the Taurasi must be drunk to ambient temperature and it adapts well with courses of red meats, to spicy sauces, to dry cheeses and to substantial foods.